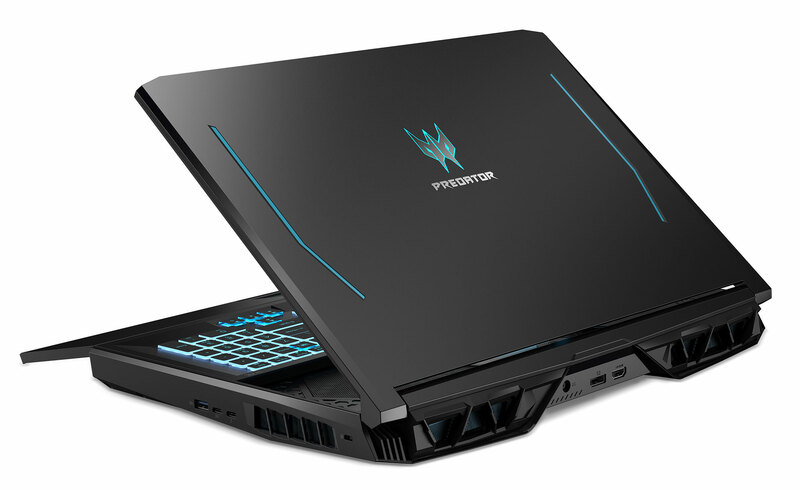 Acer’s Predator Helios line includes some of the best value mid-range gaming laptops on the market, with popular devices like the Helios 300 and the Helios 500, both covered in previous in-depth articles on the site. 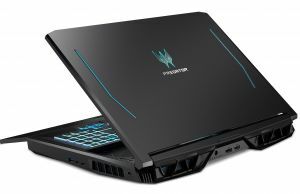 As of the spring of 2019, Acer offers two new members in the Predator Helios line-up, a redesigned Predator Helios 300 PH315-52, and a brand-new Predator Helios 700 PH717-17, with a unique design trait. 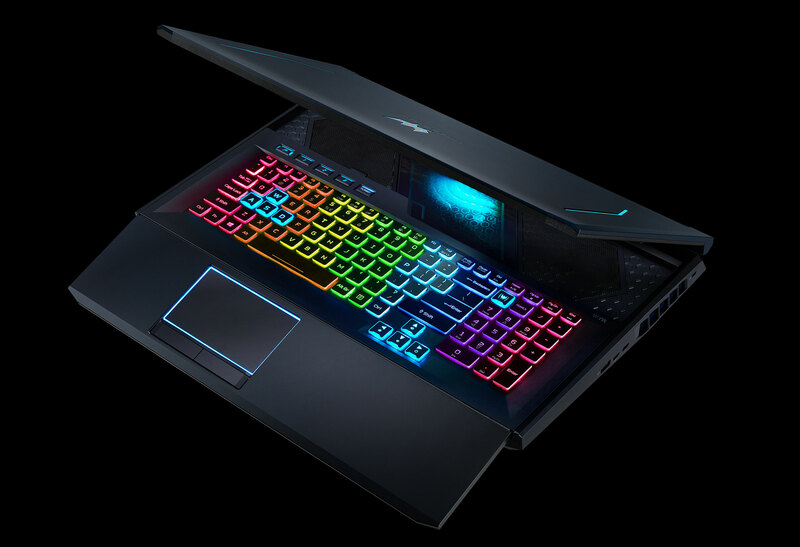 The Predator Helios 300 is a standard clamshell laptop with updated hardware, an RGB keyboard, a smaller form-factor than the previous generations, as well as revised cooling. 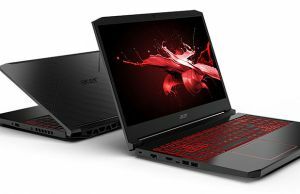 It will compete in the mid-range segment of gaming notebooks, with an MSRP starting price of $1199 in the US and 1499 EUR in Europe. 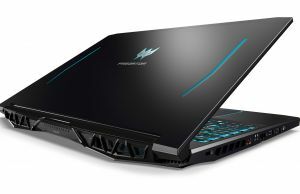 The Predator Helios 700, on the other hand, is a higher tier device with a sliding keyboard/arm-rest, meant to maximize performance and cooling, while ensuring that the areas that you normally come in touch with stay cool, something you’ll want in a device that can be specced up to a Core i9 processor and RTX 2080 graphics. We’ll talk about both lines down below, covering their main-traits and novelties, their potential quirks and their competition. We’ll also have detailed reviews in the weeks to come, so stay tuned if interested in one of these new 2019 Predator Helios notebooks. We’ll start off with the Helios 300, as I expect this to be the most popular option in the Predator Helios line-up throughout 2019 and the first part of 2020. 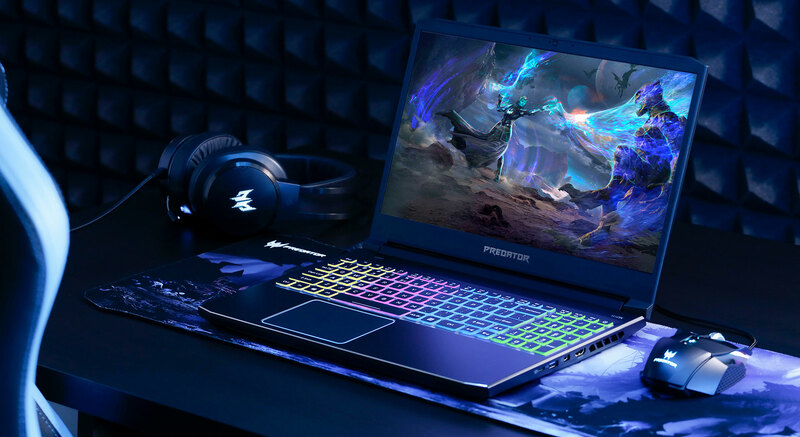 The previous Helios 300 generation has been one of the best-value mid-range gaming laptops you could get in stores around the world, with 8th gen Core i7 processors, GTX 1060 graphics and a 144 Hz screen. It wasn’t without flaws though, which included some arguable design decisions, poor speakers and not the most efficient cooling solution. The updated 2019 Helios 300 PF315-52 promises to improve on all these aspects. But first, here’s a quick specs list, so you’ll know what to expect. 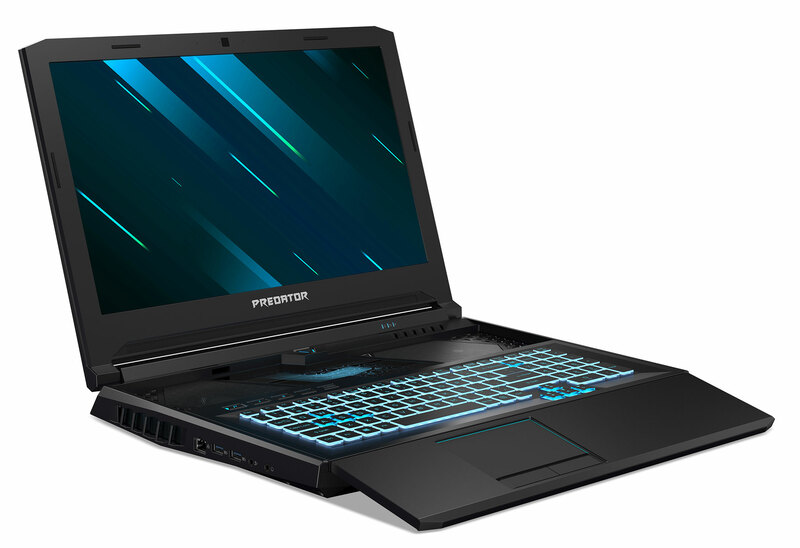 Acer completely revamped the design lines of the updated Predator Helios 300, which is the first aspect you’ll notice about it. 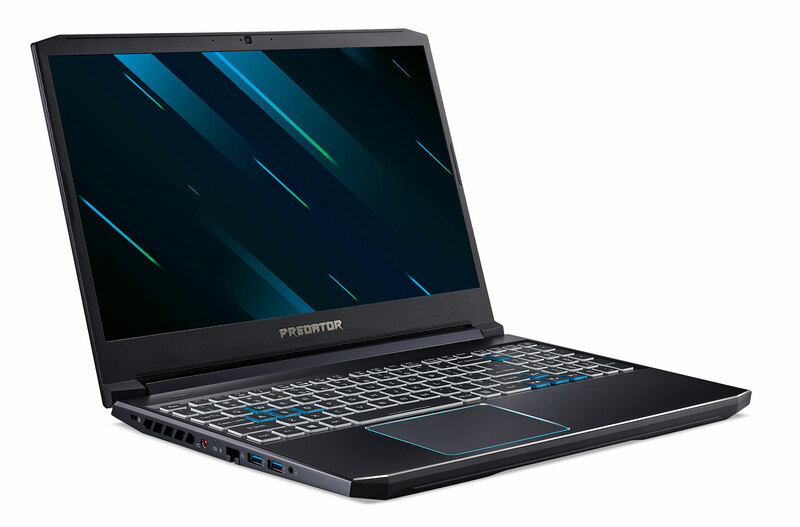 It borrows from the ultraportable Predator Triton 500, with a black metallic chassis and blue accents, and is also smaller than the previous model, as you can tell from the shrunk bezels around the screen. It also gets an RGB keyboard that seems much like the one on the Triton 500, which we’ve discussed in here, but with an extra NumPad section. Unfortunately, Acer didn’t give up on the decorative bars on the lid and the obnoxious Predator branding elements, so this is still not as clean as some of the other mid-range laptops out there, which might bother those interested in a versatile computer that can play games, but can also be accepted in stricter work/school environments. There’s also no card-reader on the updated Helios, no support for Thunderbolt 3 (from what I can tell), and the power-plug is placed in the middle of the left edge. Performance wise this should be a beast, with support for the new 9th gen Core i5-9300H and i7-9750H Coffee Lake-R processors, Nvidia Turing GTX (1660 Ti) and RTX (2060 and 2070 Max-Q) graphics, up to 32 GB of RAM and triple storage, with dual M.2 slots with Raid0 and a 2.5″ bay for mass-storage. I would also expect the cooling to do a better job at keeping this hardware at bay than in the past, as Acer implemented their latest version of the AeroBlade 4 fans, as well as extra intakes on the sides, for improved airflow. It’s worth noting that the Helios 300 PH315-52 also gets the dedicated Turbo button we’ve previously seen in the Triton series, which automatically boosts the GPU’s clocks and fan-speed for improved performance, and that once more suggests a cooling implementation that can handle the heat output of an overclocked Turing GPU. However, all these are just suppositions for now, and something we’ll only be able to analyze once we get the review units. The Predator Helios 300 is expected in stores in North America around April, and later in June in Europe and other parts of the world. It will start at $1199 in the US and 1499 EUR in Europe, for undisclosed configurations, and we’ll follow-up with more details once available. In the meantime, you can also follow this link for updated prices and configurations at the time you’re reading the article. 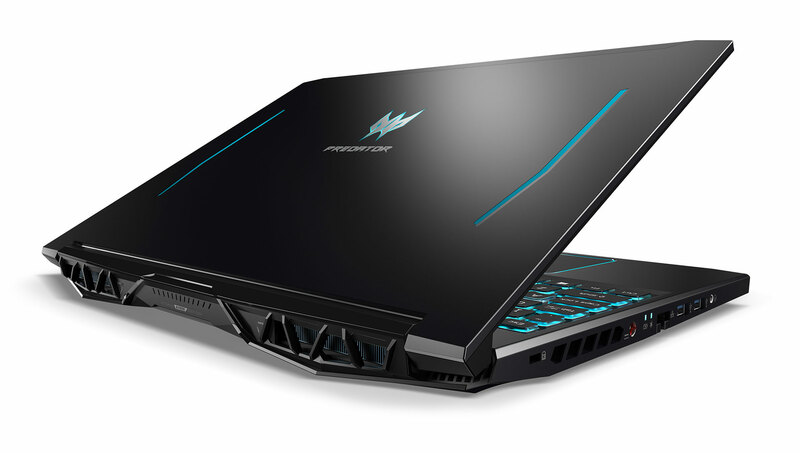 The competition in the segment is tough, though, as the Helios 300 has to outmatch devices like the Asus ROG Scar GL504/GL704, Dell Gaming G7, HP Omen 15 and the Lenovo Legion Y740, most of them available with both 15 or 17-inch screens. In the past, the Helios had excellent prices on their side, usually below any of the competitors, but with the redesigned chassis I’d reckon production costs have gone up, which will reflect in the final pricing. 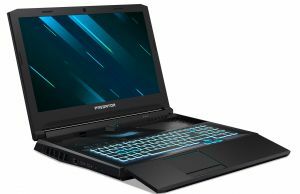 That’s why the existing Helios 300 lines are still well worthy of attention, with i7/GTX 1060 models going for under $1000 these days, while in stock (details). 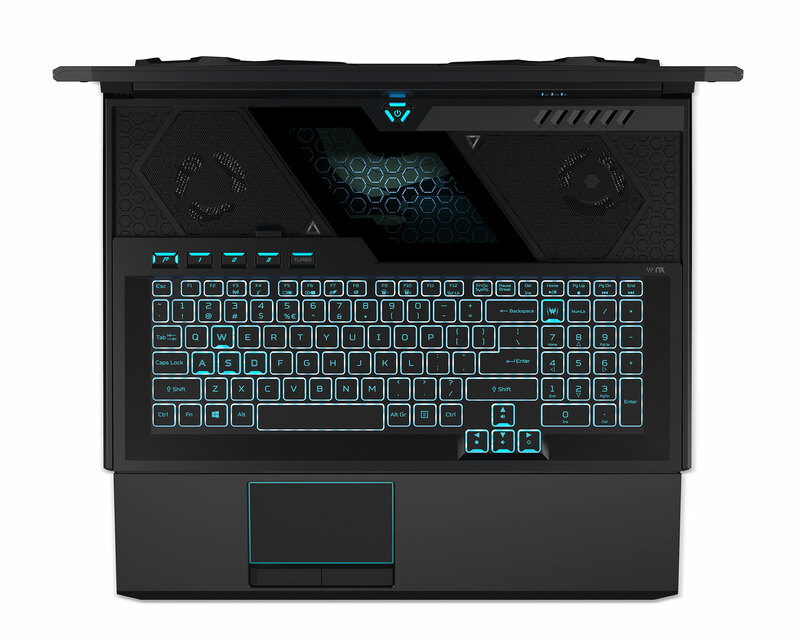 While the Helios 300 is a competitive all-around laptop with good gaming abilities, the Helios 700 is a completely different beast: a desktop-grade high-performance computer in a laptop form-factor, something you’ll primarily use on an ample desk, while plugged in. And that’s because it’s uniquely designed, with the keyboard and arm-rest able to slide frontwards in order to leave the part at the top for the hardware and thermal architecture, which we’ll talk about in a second. But first, here’s a quick specs sheet, so you’ll know what to expect. 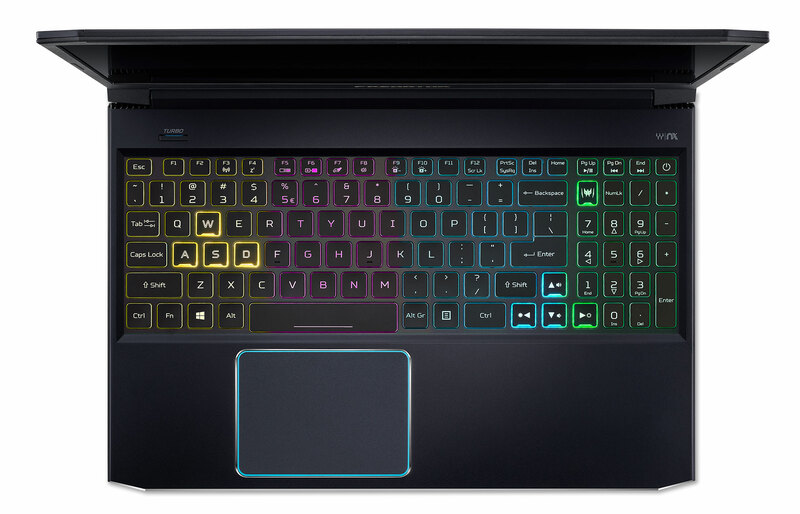 This is a pretty interesting design, as it allows you to use the laptop in a regular clamshell form-factor when you want to, but also slide down the keyboard when running games and other demanding loads. The downside in this mode is the fact that you’ll have to keep the device on an ample desk that can accommodate its size and the extra space occupied by the slid arm-rest. However, the implementation offers arm-support and a clickpad positioned where you’d expect, beneath the keyboard. The benefits include the fact that both the keyboard and the sliding arm-rest, the areas your hands will come in contact with, are going to stay cool while running games and demanding loads in this mode, and the design places the 17-inch screen farther away from your eyes, which can help lower fatigue and eyestrain. On top of these, the entire upper half remains reserved for the hardware and cooling, which should lead to better performance and thermals. 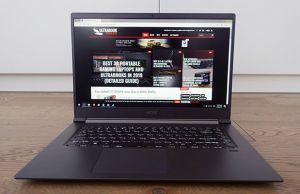 The question in my mind is whether Acer allows using the laptop in both the open and closed modes at its maximum capabilities, or limits the performance unless you slide down the keyboard. As far as the hardware goes, the Predator Helios 700 can be specced with up to a 9th gen Core i9-9980HK processor and a full-power version of the RTX 2080 graphics chip, both overclockable with a press of a button. The thermal design makes use of two high-cfm AeroBlade 4 fans, 5 heatpipes and a vapor chamber (on the higher tier variants), as well as ample intake and output grills for optimized airflow, with extra intakes when the keyboard is slid down. A clear glass panel is placed on top of the heatpipes, with customizable illumination that should appeal the RGB fans among you. 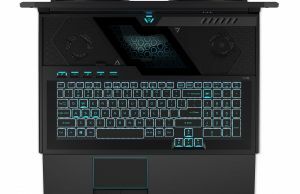 The keyboard is also RGB backlit, with per-key control, and uses analog linear switches (MagForce) with anti-ghosting, for improved feedback and precision in games. The experience is rounded up with a FHD IPS 144 Hz matte screen with GSYNC support and a set of 5.1 speakers, alongside capable headphone output, which you’ll probably rely on in order to cover up the fans. 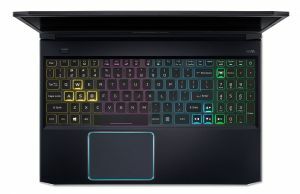 Overall, the Predator Helios 700 PH717-71 might be one of the cleverest designs I’ve seen on performance laptops so far, with this choice of sliding down the keyboard in order to improve performance, thermals and the overall experience, by lowering the overall temperature of the keyboard and arm-rest. 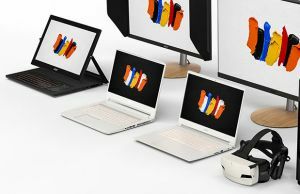 Of course, the concept needs to be vetted in real-life (and we will in our future review), but this might have what it takes to outshine other regular performance laptops like the Asus ROG G703 or the MSI GT75 Titan and some of the other full-power RTX 2080 powered alternatives out there. 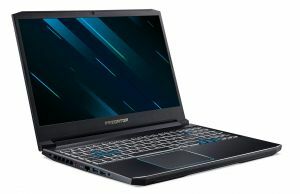 My concerns are on the thermal’s ability to cool the i9 Core HK processor, as well as on fain noise, based on my experience with Acer’s existing high-performance design, the Predator Helios 500. I do expect the Predator Helios 700 to be competitive in terms of pricing, though. It’s definitely not going to be cheap, but Acer announced an MSRP of $2699 in the US (from April) and 2699 EUR in Europe (from June), which puts it in the same price range as its “more standard” brethren.